Global ECU remap leader Superchips has launched its latest conversion, for the Mazda 6 2.2d 163PS engine. As with all Superchips turbodiesel conversions, not only does this add significant extra power and torque, it also offers the potential for improved fuel economy as well. The Mazda 6 2.2d, running on Denso management, leaves the factory with 163PS as standard. 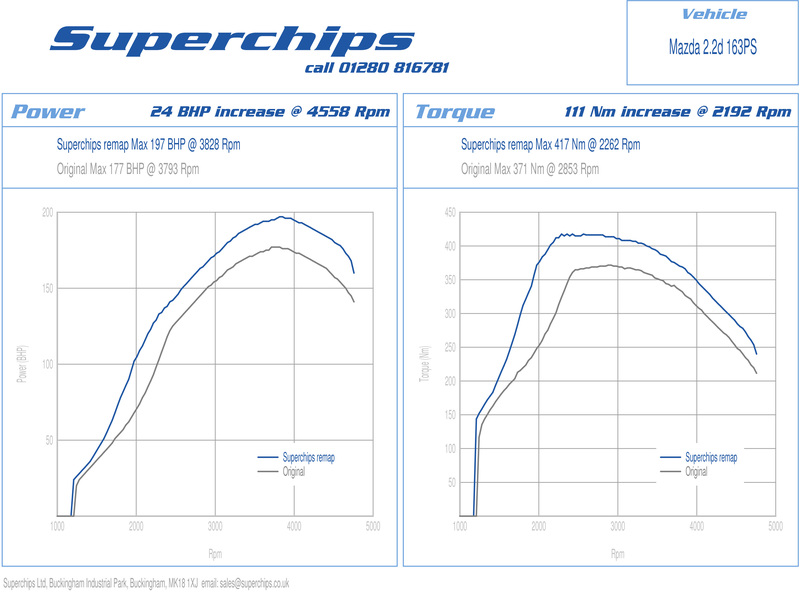 However, the Superchips conversion adds 24bhp to this figure at 4558rpm and a huge 111Nm torque at 2192rpm, giving the Japanese marque’s family saloon a huge increase in driveability as well as overall performance. In addition to the significant increases in performance, drivers can also expect to see potential gains in fuel economy, which is already impressive on the model. When driven in a like-for-like manner, drivers can expect to see improvements of up to 7%. The conversion is carried out by one of Superchips nationwide dealer network and typically takes around three hours. Customers can either wait at the dealer or drop off their car and return later to collect. The cost of the Mazda 6 2.2d remap is £365 including VAT and labour. The conversion is covered by Superchips’ 12-month/30,000-mile warranty*.